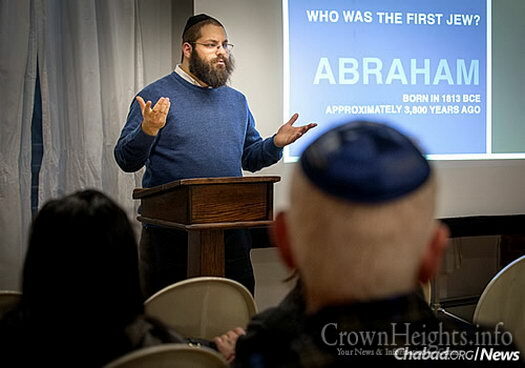 Those who attend High Holiday services this year at the Brooklyn Hebrew Society of the Deaf will have no excuse if they fall asleep during the rabbi’s sermon, jokes Rabbi Yehoshua Soudakoff. They probably wouldn’t anyway, as services are conducted in American Sign Language. People who are Deaf at synagogues around the country often feel cut off from the rest of the congregation, says Soudakoff, director of The Jewish Deaf Foundation, a nonprofit organization that works closely with Chabad-Lubavitch to bring the religion’s messages to the Deaf community. Stewart Gerlis started attending services at the Brooklyn Hebrew Society of the Deaf about eight years ago. He had been friends with Rabbi Fred Friedman, who retired from the society last year. In an email, Gerlis, who is Deaf, describes the services as “amazing,” and writes that he has learned a lot about his Jewish identity because of the sign language used. Since 1928, the Brooklyn Hebrew Society of the Deaf has provided a spiritual and practical home for Deaf Jews. 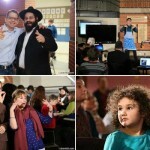 There are a number of similar Jewish organizations and congregations in the United States, like the Hebrew Association of the Deaf, which was established a century ago in Philadelphia. But in some parts of the country, Deaf Jews do not have these options. “What about the rest of the Deaf community, who don’t have any friends in the Jewish world, or even the most basic understanding of Hebrew and Jewish liturgy?” asks Soudakoff. His organization’s website contains videos of the rabbi explaining Jewish holidays and reciting prayers in sign language for them to watch before the holidays. Soudakoff will lead High Holiday services this holiday season at the Brooklyn congregation for the fourth time. He says that between 75 and 100 people attend, mostly those from the New York area, though he has met residents of Maryland and visitors from as far away as California. “I have long seen a big need for Deaf people to have a place to call home when it comes to Judaism and spirituality. 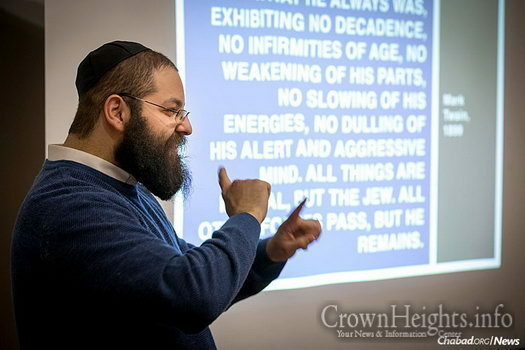 Deaf Jews do not often have an outlet for learning Jewish knowledge, or connecting to Jewish prayers and traditions on a spiritual level,” he says. 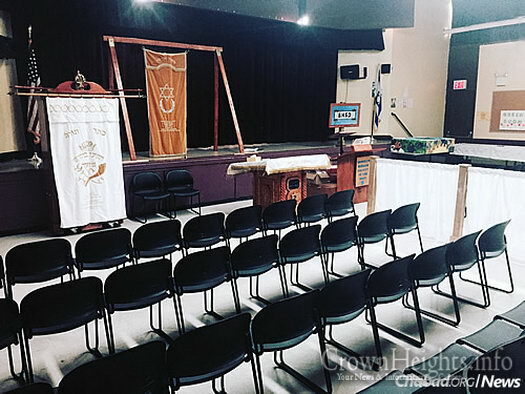 Dinner and evening services will be held on Rosh Hashanah, followed by morning services the next day, complete with a kiddush and lunch at the Hebrew Educational Society building in Canarsie at 9502 Seaview Ave. in Brooklyn. On Yom Kippur, services will be held most of the day, with an “Ask the Rabbi” session in the afternoon. Prayers will be recited in ASL. During the reading of the Torah, someone will read the text while another person signs the words. As at other holiday services, the shofar will be sounded—in this case, by someone who is hard of hearing, according to the rabbi. And if it seems not as apparent for this group as it is for others, think again. For information on synagogue services, membership and registration, email Betty Kasher, kasher47@gmail.com, here. I really appreciated reading the article and especially enjoyed watching the videos. Because all the communication is nonverbal, the personality and liveliness of each of the people comes through in a beautiful, special way. Wishing everyone involved much hatzlacha and a Kesiva v’chasima tova, l’shana tova umesuka. Wish I had a lot of money to donate to this cause. Looking forward to meeting you all personally in Yerushalayim with Moshiach! Rabbi Soudakoff is amazing and does incredible work. However, the High Holiday services are in jeopardy as the HES building will not be available this year. An alternate venue is needed quickly. 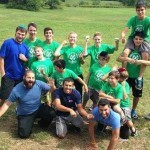 If anyone knows of one please contact Rabbi Soudakoff or Betty Kasher ASAP. Good to know one shul this you tov no talking in shul. I had the pleasure many years ago to learn Chumash with Fred Friedman in Baltimore. I know of many stories of his tremendous accomplishments and his over coming the many obstacles that stood in his way but never deterred Fred or his lovely family from being Torah -true Jews. It is my ferverent wish that he continue to be an inspiration for the hearing -Impaired community.